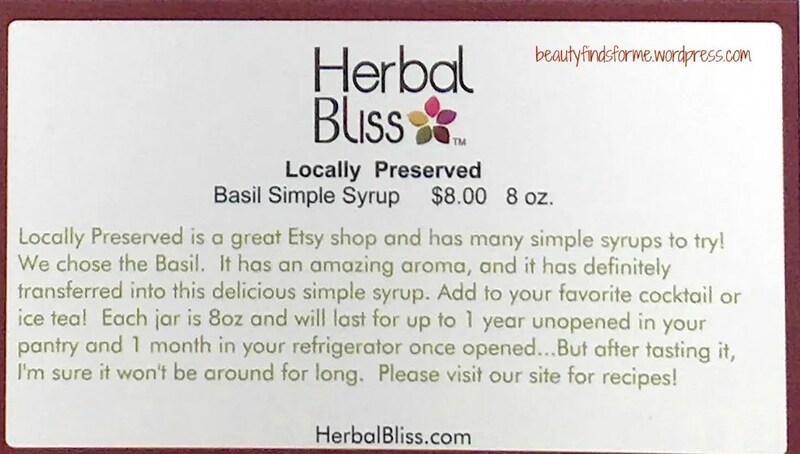 Herbal Bliss has fantastic customer service ~ Julie let me know back in early August that this month’s box was going to be mailed after the 20th, as she was out of town. Those types of personal consideration really make me appreciative of their services! BTW – I do love this subscription box ~ it is one of the best indie sub boxes out there, imho. 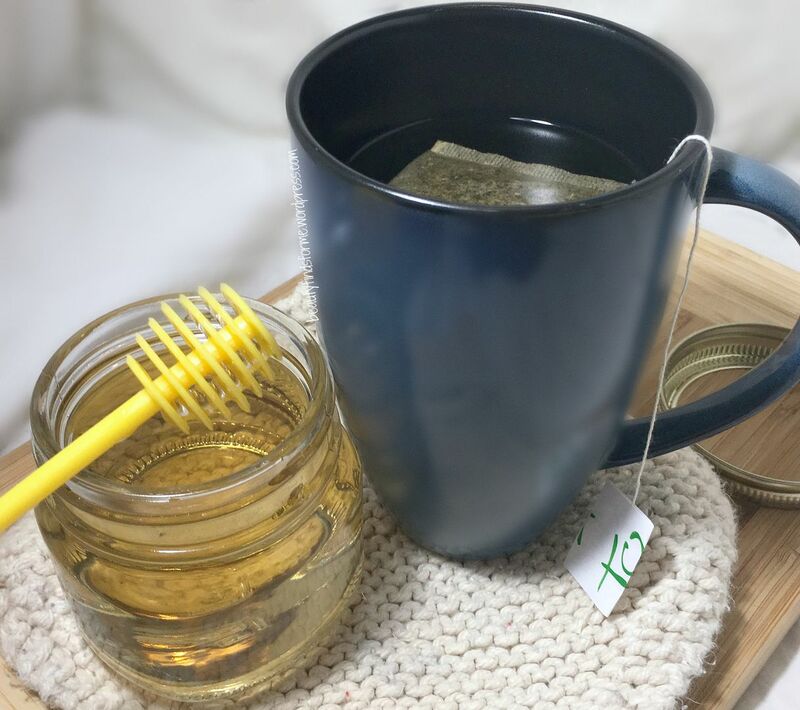 Herbal Bliss is a unique eco-friendly subscription service, as their whole theme is around providing herbal products ~ samples, full sized ~ from artisan crafted companies around the USA. 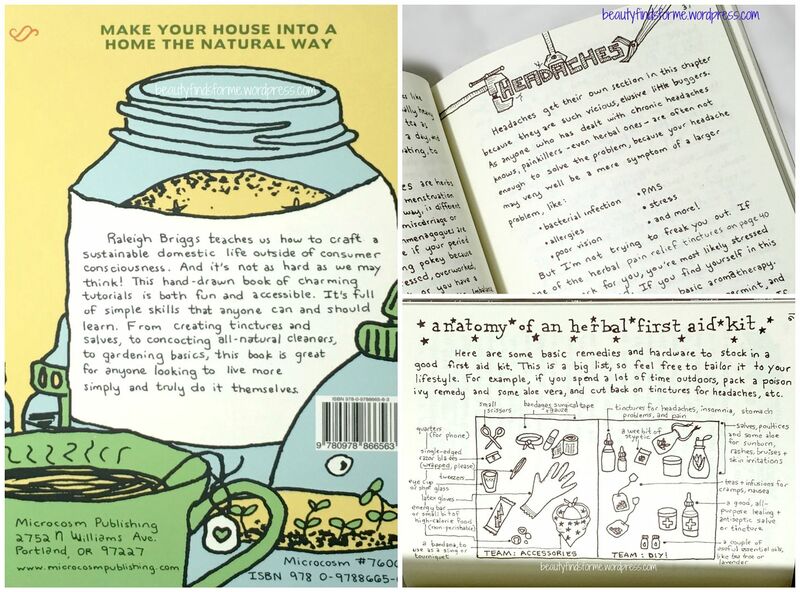 Their monthly lifestyle box will contain 5 items that could be culinary, health, beauty, aromatherapy and more. 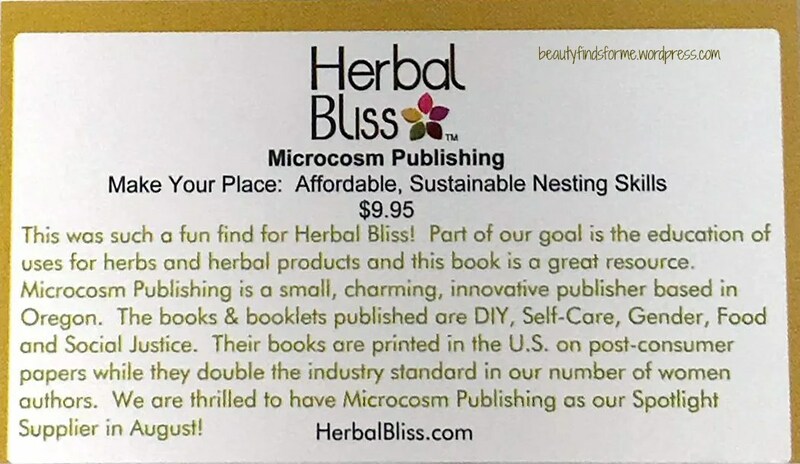 What is Herbal Bliss Co? Herbal Bliss offers (per box) a month-to-month sub at $25.00, 3 month sub at $22.00, 6 month sub at $20.00 and a yearly sub at $18.00 per box. 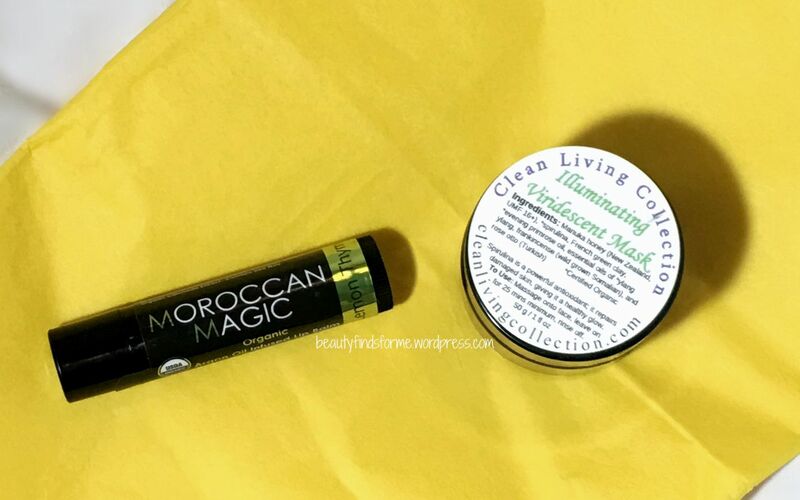 Moroccan Magic Lemon Thyme Lip Balm In case this is the first time you are reading it, I am a lip balm addict. I love getting new flavors of lip balm and I do not believe I have had one that is a lemon-thyme mix! 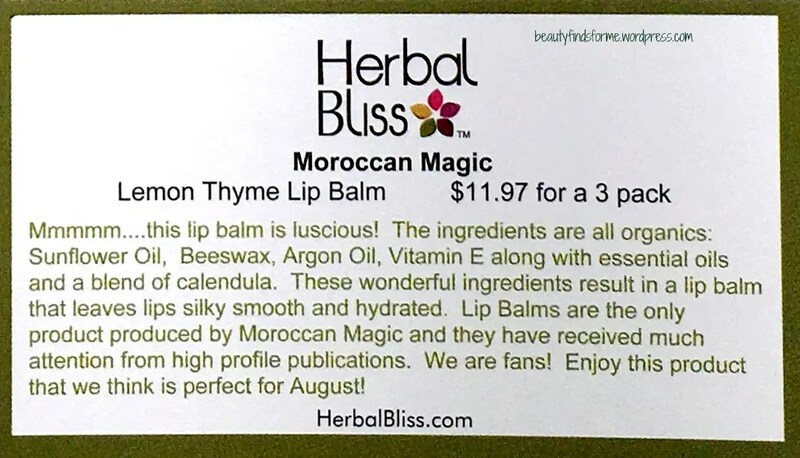 Moroccan Magic uses pure high grade, USDA organic Argan oil and infuses it into their lip balms, along with sunflower oil, beeswax and organic herbs, giving your lips complete moisturize and protection. They also make their lip balms in Peppermint Eucalyptus and Rose flavors too. Kristina Tsipouras is the owner of Moroccan Magic and she is also the co-founder of Zoos Greek iced tea. Based on the interview in the Boston Globe, it sounds like no one has made an argan oil lip balm before! Description: Why we put Organic Argan Oil in our Lip Balms? In Morocco, argan oil (also known as moroccan oil) is traditionally used the on face, body, and lips. After being gifted a bottle of the pure “magic oil” last year, we started testing it on our lips and face at home. Overwhelmed by the deep hydrating result and silky texture, we created a magical lip balm, Moroccan Magic. Over six months of testing and many focus groups went into production with what people are calling “the smoothest lip balm they have ever used”! We hope you love it as much as we do! Description: The Illuminating Viridescent Mask will quite literally have you “glowing green”. 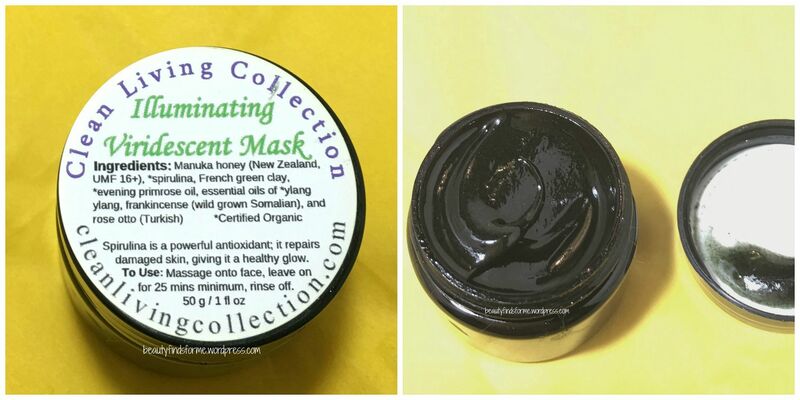 This mask will lead to healthy, glowing skin because spirulina works to repair and rejuvenate any tired/dull areas you might have. Scented with rose damascena, frankincense, and ylang ylang, it is unique, intoxicating, and calming. Spirulina – Extremely high in chlorophyll, which is a potent deotoxing and cleansing agent. It is also very high in antioxidants which fight free radicals, sun damage, and age spots. 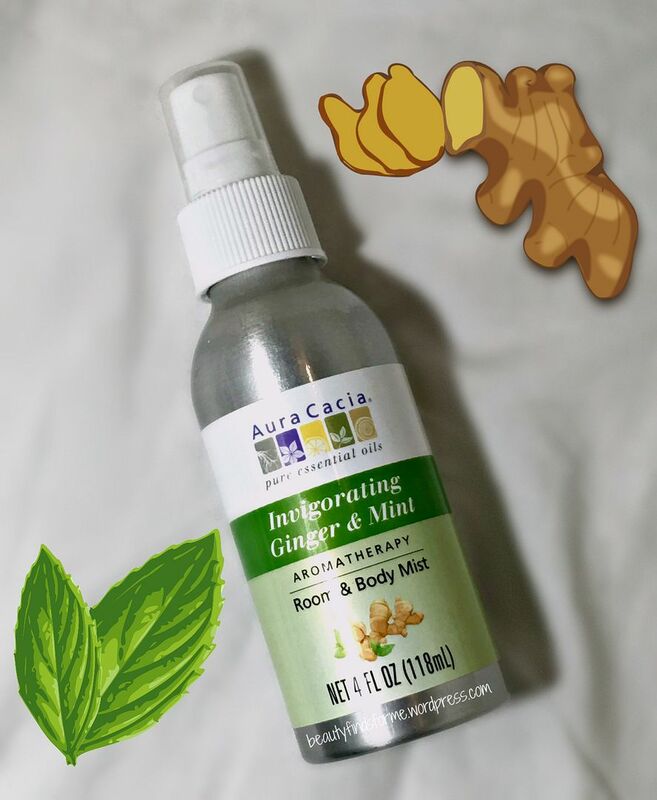 Improves general dryness and and irritation around the eyes, which reduce fine lines and dark circles.It also eliminates surface bacteria, which prevents and fights acne. French green clay – Cleanses (removes excess oil and impurities which clogs pores) and exfoliates dry skin. It is a gentle clay, that tightens the skin while also leaving it feel soft and supple. 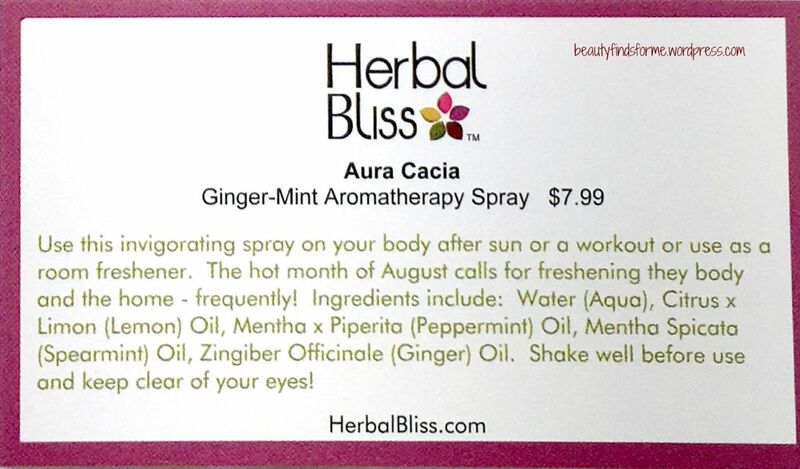 Description: There’s no mistaking the aroma of fresh basil, and our syrup packs a wallop of basil’s signature scent. Use our Basil Simple Syrup in one of your favorite spring/summer citrus-based cocktails, or use it to sweeten your favorite -ade (lemonade, blueberry-ade, strawberry-ade, ginger-ade) or iced tea. 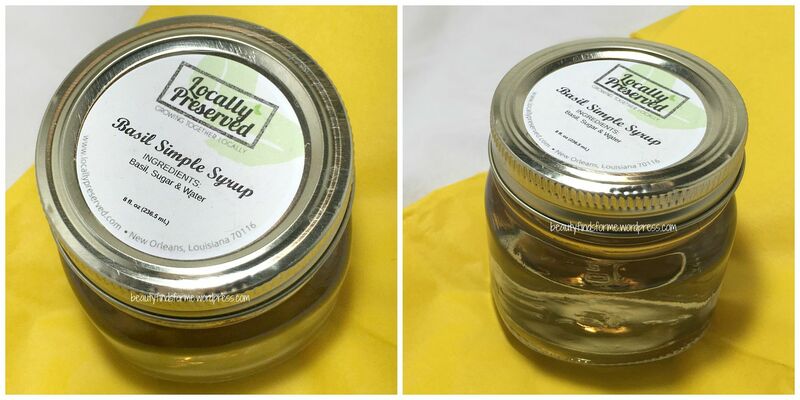 Locally Preserved is a New Orleans company on a mission to preserve what is grown locally … everywhere. Today, we buy all of our seasonal fruits and vegetables from farmers in Louisiana, Mississippi, and Alabama, and we only distribute our products in the region where they are grown to reduce our carbon footprint. In the near future, we will take our sustainable business ecosystem national – engaging with local farmers and producing region-specific syrups, jams and jellies. Maine blueberries, Michigan cherries, Washington apples, New Mexico chiles – it’s on the horizon. We’re taking local national. 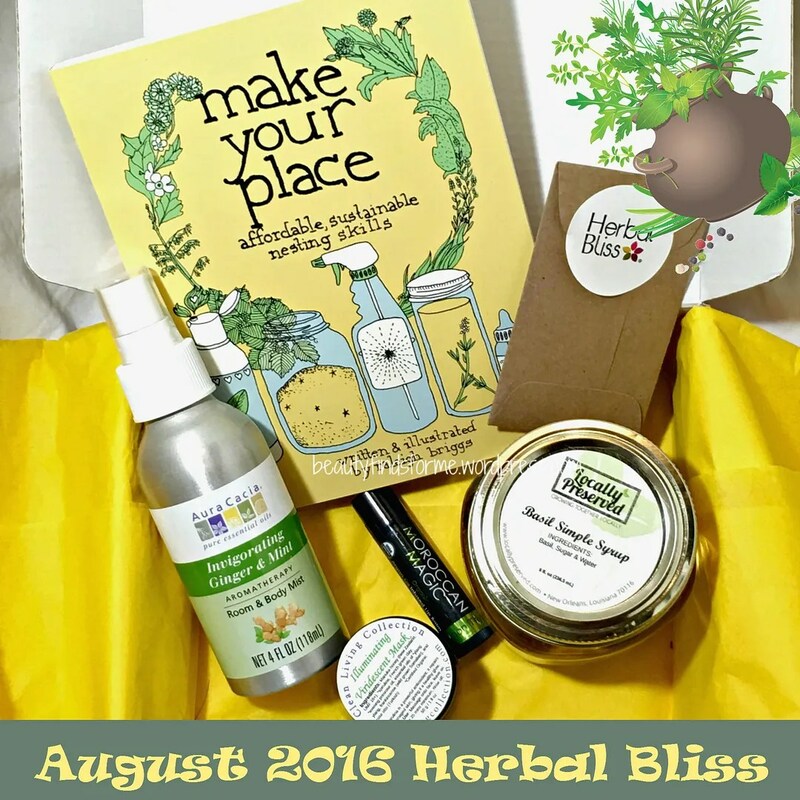 Do you subscribe to Herbal Bliss? Are you interested in this subscription and what products do you want to try out? 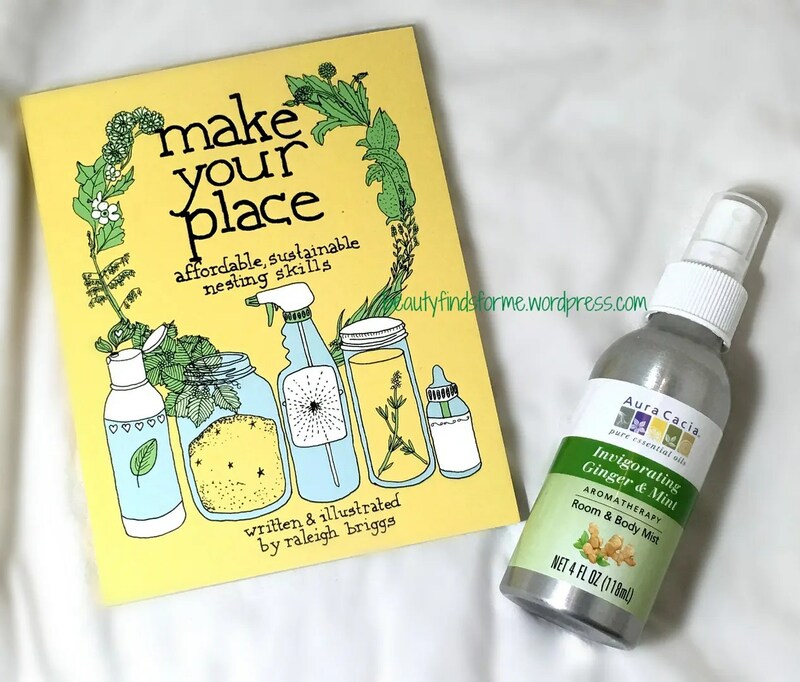 I loved this months box, I am really enjoying this subscription, so glad to have read about it on your blog. I love the basil syrup, being Southern I of course had to try it in my sweet tea! As I’m part Scottish I then had to try it in my hot tea that I drink for breakfast. I have never heard of these types of syrups so really happy for the chance to try it. 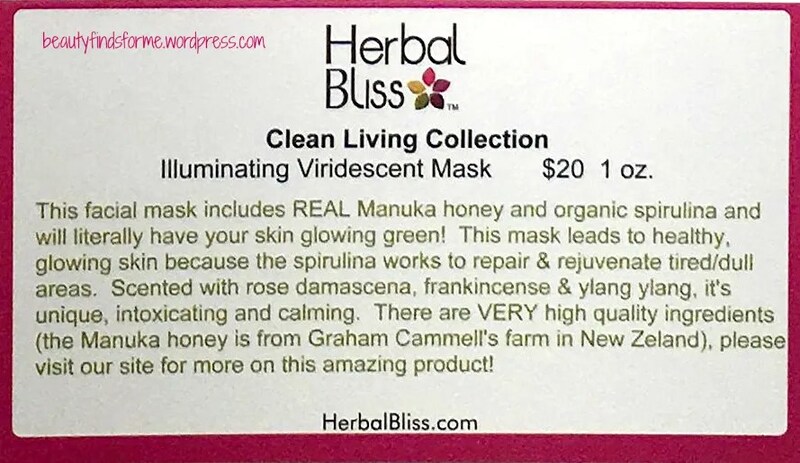 I can’t wait to try the mask, I’m sure my husband will just love to see me walking around the house with that on my face LOL.